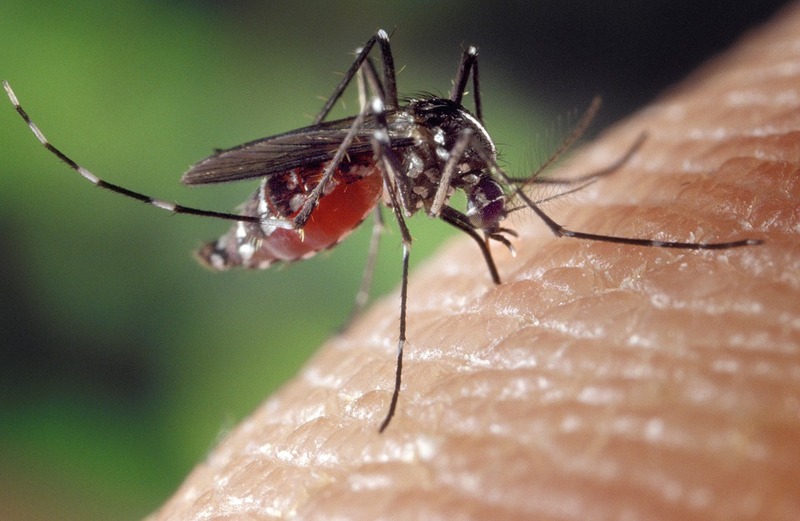 Summer brings with it warm nights, days by the pool, beach trips, camping and so much more – however, it also ushers in the time for one of nature’s biggest pests, the mosquito. Mosquitoes are not only annoying, but they are considered to be highly dangerous due to their ability to carry deadly diseases. The U.S. Centers for Disease Control estimate that over 1 million people die each year worldwide from mosquito-borne diseases! While most people use sprays and mosquito repellents, many are not aware of the chemicals and toxins that are included in these products. The good news is that there are effective natural alternatives. The combination of both lemon and eucalyptus essential oils has been found to produce just as good, if not better results than the use of DEET, but without the toxins. Mix all the ingredients together in a spray bottle. Use when needed, although be sure to re-apply regularly as the formula lasts up to 4 hours before becoming ineffective. You can crush the lavender flowers and apply the oil directly to the skin for an effective repellent. You can also use drops of the essential oil in a similar manner, putting a few drops on a clean clothing and rubbing it onto the skin. Tea Tree Oil has found to be effective in repelling mosquitoes, bush flies and biting midges. Combining lemongrass oil with soybean oil has been found to be effective in repelling different types of mosquitoes. You can use thyme oil as a mosquito repellent by simply mixing 5 drops of the oil with 2oz of water. If you would prefer a homemade brew, mix 4 drops of the oil to a teaspoon of olive, jojoba or similar base oil. Mix 24 drops of oil for each 4 oz. of water. Use this mixture in the same way that you would a commercial bug spray, spraying it onto your skin, clothing, plants, or around your home. Scientists at Iowa State University found that Greek catnip oil is up to 10 times more effective than DEET. It can effectively repel mosquitoes within 2-3 hours.